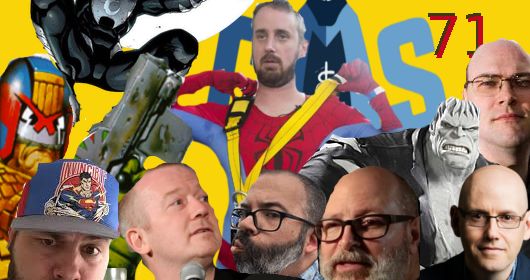 Welcome to the new lineup here on Capes And Scowls! 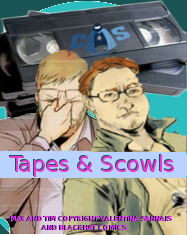 Introducing Tapes And Scowls, where Tim and Max talk about the movies they have watched this year. We compare critic scores with our own, go over plot points in the most spoiler free ways possible, and recommend when we can! Max of course is in the film industry and works those long hours over at Supraliminal Films. 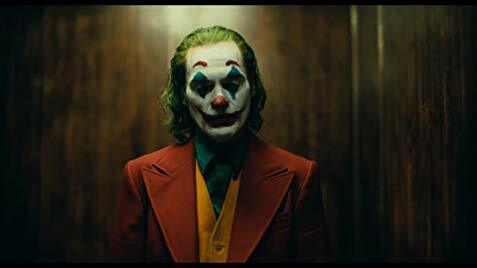 Tim is just a podcast guy who watches a slew of bad movies on purpose. Tapes And Scowls Episode 1, "The Devil, The Blacksmith, and The Predator"
We pair Writers and Artists together to do our bidding on the property of our choosing! How diabolical!